Farrukhabad district on Thursday when a rail fracture was discovered in time by a passer-by, who alerted the railway officials. The incident came to light after a youth noticed that the railway track near the Shyamnagar crossing had a cut. 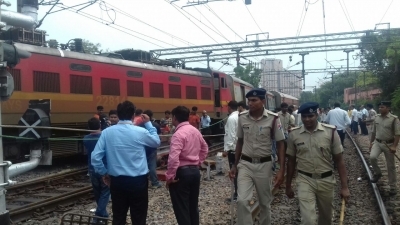 Before alerting the railway crossing at some distance, the crowd that had gathered saw the Kalindi Express approaching and waved a red-coloured cloth to signal danger and tried to stop the train. Senior district and local railway employees rushed to the spot and got the track repaired. Police said they were trying to find out the elements who could have possibly cut the track. The incident took place on a day when seven coaches of the Shaktipunj Express derailed in Sonbhadra.